Of the many coveted destinations, TUI offers their customers the Caribbean has to be one of the best. If you close your eyes and envision a holiday to the Caribbean you’ll no doubt conjure up images of tranquil turquoise seas, white-hot sandy beaches and an ice cold (and rather potent) mojito held in your hand as you recline on a sun lounger in total relaxation. Using a TUI discount code when booking your dream vacation to this stunning group of islands can only serve to sweeten the deal. Before you can say all-inclusive you’ll find yourself enjoying sun, sea and sand the TUI way. When People think of the Caribbean and its islands most have one or two that come to mind immediately. What they don’t realise is that the Caribbean actually encompasses some 7,000 islands of different sizes and cultures. The mind boggles, how do you start to narrow down which one to visit? Luckily for you, TUI have done the hard and offer holidays to a small selection of what they consider to be the most beautiful and family friendly slices of paradise this part of the world has to offer. This tiny Dutch Island is just 15 miles off the coast of Venezuela. There is a heavy Dutch influence in the buildings and the languages spoken. The weather is sunny and mostly dry with some beautiful white beaches available for you to enjoy. TUI offers holiday packages for four destinations on this Island including the bright friendly capital Oranjestad. Barbados is situated in the northern area of the Caribbean and is a member of the independent British Commonwealth. This is reflected in the islands love of afternoon tea and cricket. TUI offer holidays to seven destinations around this island, which means there is likely something to please everyone. Renowned for its laid-back attitude Barbados is perfect for a touch of rest and recuperation but you are still never far a party if you really want to let your hair down. Cuba is the largest of the Caribbean islands and is best known for its old American cars, Cuban cigars and Havana rum. With three destinations on offer, you can immerse yourself in a country that is unlike any on earth for a week or two having the time of your life and soaking up the culture. From the perfect beaches and quaint villages of eastern Cuba to the lively nightlife of the Capital Havana, there is sure to be something to tickle your fancy. The Dominican Republic is part of a larger island and offers tourists long picturesque sandy beaches along the seafront. Moving further inland will reveal lush jungles, breathtaking waterfalls and thick mangroves. TUI gives customers a choice of four destinations, from families to honeymooners, all are welcome. Start an adventure today with a trip to this destination of a lifetime. Jamaica is by far one of the most well-known places in the Caribbean and with good reason. This island is best known for its laid-back vibes and encompasses everything that springs to mind when you think about an island paradise. Think blue seas, white sands, ramshackle rum bars and banana plantations. Check out what TUI has to offer today and you’ll be spoilt for choice. St Lucia is a small Island in the Eastern Caribbean. It is known for its mountainous terrain, volcanic beaches, fishing villages and luxury resorts. If you are partial to the finer things in life than St Lucia may just be the place for you. TUI has a selection of six different locations for you to take your pick of. Our favourite is Smugglers cove with its fascinating military history and lively neighbourhood. If a family holiday is on the cards then TUI is bound to have something for you and those you hold dear. The Caribbean resorts tend to focus on one type of visitor or another. So you need to ensure when booking that the hotel caters to children rather than couples or groups. TUI make this search option easy to find and narrow down. Simply search for family holidays, filter by the Caribbean and voila! All the family-friendly resorts will appear. You’ll find family-friendly resorts will offer all the usual options such as kids clubs, discos and activities. All-inclusive dining options are something TUI do very well and the Caribbean Islands also love to provide their visitors with a stress and hassle free break so finding a holiday where everything is included is probably easier than finding one on a self-catering basis. Prices can go as low as £600 per person for a week of indulgence. Simply search for all-inclusive holidays and filter by destination. 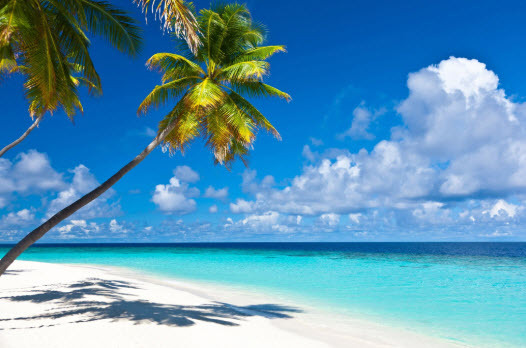 The Caribbean has a tropical climate and therefore enjoys a hot and sunny climate all year round. Rarely will the thermometer dip below the low thirties. Most Islands have a rainy season between May and October. This means the weather is more hot, humid and rainy obviously. If you like it hot the Caribbean is the place for you.